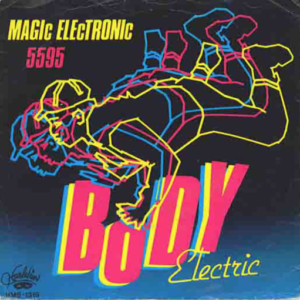 Secondly, here’s a rare 1984 7” by Body Electric, which is essentially another name for Denmark’s Steen Gjerulff. You can expect classic italo disco sounds here- pounding percussion, bright synths, and of course, copious amounts of vocoder. A real gem! This entry was posted on February 18, 2010 at 6:21 pm and is filed under 1980s, 1984, Body Electronic, denmark, disco, italo disco, space disco, Steen Gjerulff . You can follow any responses to this entry through the RSS 2.0 feed You can leave a response, or trackback from your own site. get the official 12" re-issue for 8 euro!!! Magic Electric has been one of my favorite songs for a while. I didn't see that it was reissued until this comment. This and Moskow Diskow are always party starters for me. Now this is fun to listen to, thank you!